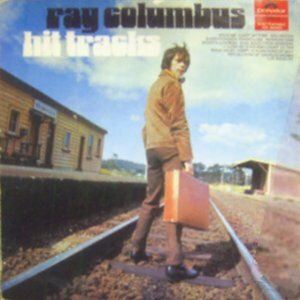 When Ray Columbus and the Invaders broke up in July 1965, Billy and Jimmy moved to Sydney to join Max Merritt and the Meteors, and Ray Columbus embarked on a solo career which often utilised Wally Scott and Dave Russell from the Invaders, the later having been Ray's main musical collaborator. The break up of the Invaders was quite sudden and there were still a couple of unfinished tracks for their last album "Original Numbers", so Peter Newing and Dennis Gilmour from the Pleazers were brought in to complete them, filling in for Billy and Jimmy. Ray spent the next 12 months pursuing his dream of being able to live and play in the US. He also released two solo singles, "We Want A Beat"/"I've Been There Baby" and "I Need You"/"That's What Happened To Me" in 1966. "We Want A Beat" was released to coincide with Ray's local tour with Tom Jones and Herman's Hermits. "I Need You" reached number 12 in the national charts in September and Ray received the APRA Silver Scroll for that song. He also had written enough songs for his first solo album, and this was scheduled for release in August 1966. 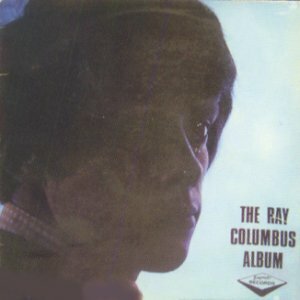 The album was the self-titled "Ray Columbus Album". Meanwhile Ray had married an American citizen, Levonne, and had now secured his green card to move to the US. In July 1966 he flew to San Francisco and set up home in the south bay area of San Jose. Ray managed to get a few solo outings, before linking up with a group called the Newcastle Five, and with him they renamed themselves to the Art Collection. 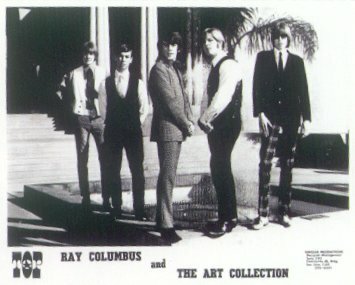 In early 1967, Ray Columbus and the Art Collection recorded a single "Kick Me" backed with a reworking of "She's A Mod". It was a Bay Area classic and unheard of in New Zealand until its appearance on the second "Ugly Things" compilation in the late eighties. Recorded at the same session was "Snap, Crackle and Pop", a bubblegum ditty Columbus had written to pitch to Kelloggs. In July, a follow-up single was released. It contained his previous two New Zealand A-Singles on one record, "We Want A Beat"/"I Need You". The band continued to play around the Bay Area, with the highlight being able to play on the same show as Eric Burdon and the Animals. 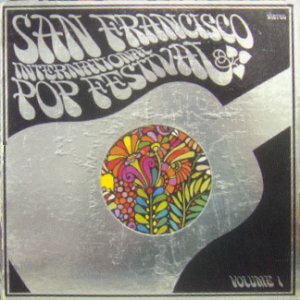 In October, Ray Columbus and the Art Collection were an attraction at the San Francisco International Pop Festival. The festival wasn't huge, but from it came a compilation album which featured several Columbus tracks, including "East Pinkerton Street" and "Polka Dot Resistance" and several tracks written or produced by Columbus. One was "I'm Good For You" for Oakland R&B group, Fire. The song later became a 1969 New Zealand chart hit for Troubled Mind. Ray's association with Art Collection came to an end at the close of 1967. After the split, Ray recorded "In Memory Of Today" backed with "I'd Rather Blow A Bagpipe Mrs Leare". Ray had offers from various television shows in the States to be their host, and also had an offer for the same from New Zealand. He chose the latter and returned to New Zealand in the early part of 1968. The offer from New Zealand was for a six month contract on C'mon 68. It was a very hectic schedule of rehearsals and recording on a weekly basis. Ray was in his element and wasted no time putting into practice everything he had learnt during the previous 18 months. He also joined with business partner Phil Warren, and started managing and recording several acts, such as the Chicks, Troubled Mind, Challenge, Tommy Ferguson and Shane. He also found time to write "Happy In A Sad Kind Of Way". The single was recorded in Auckland with Dave Russell on guitar and Jimmy Hill on drums. With "Any Minute Now" on the flipside, the single reached number 6 on the National charts in September 1968, and became a finalist in the 1968 Loxene Gold Disc Award. In 1969 he released the album "Hit Tracks". It contained four songs written by Ray, the rest being hit tunes of the day, to show Ray's versatility. The next single, taken from the album, had both tracks written by Ray. It was "Los Angeles" / "Everything's A Trampoline". 1969 was another busy year, with Ray doing another series of C'mon as well as his own weekly national radio show. After a few other singles came and went, he released "Travelling Singing Man". The song retells parts of his journey to the US and was a finalist in the 1970 Loxene Golden Disk Awards. The following year, "People Are People" made the finals for the 1971Awards. 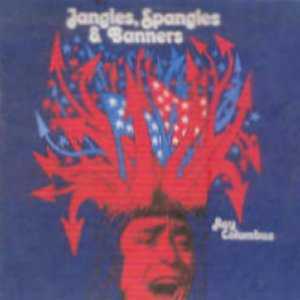 In 1973 a collaboration with pianist Mike Harvey resulted in the "Jangles Spanners and Banners" album. The title track delivered an anti-nuclear message that collected an APRA song writing scroll for Columbus and Harvey. In 1974 Columbus was awarded "Entertainer Of The Year". 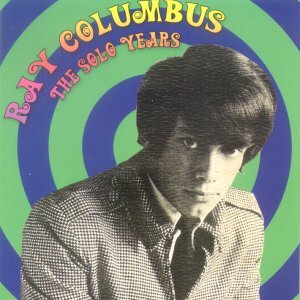 Ray continued to release singles and albums until the late seventies. He worked continuously on television during this time and managed and produced a number of local artists. He also released a few singles with the Stargazers. Some of his other solo singles included "Summertime Blues", "Where Is The Y In Love", "Come-A-Back-A-Rocker Tracker", "Computer Dater" and "Singing The Blues". 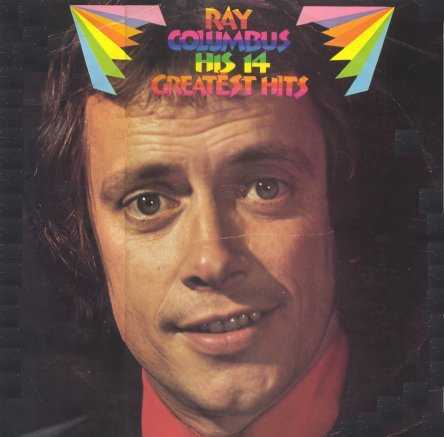 In 1974 a greatest hits album was released, while in 2004 EMI released a CD covering Ray's solo years and it contains most of his singles as well as a few album tracks.